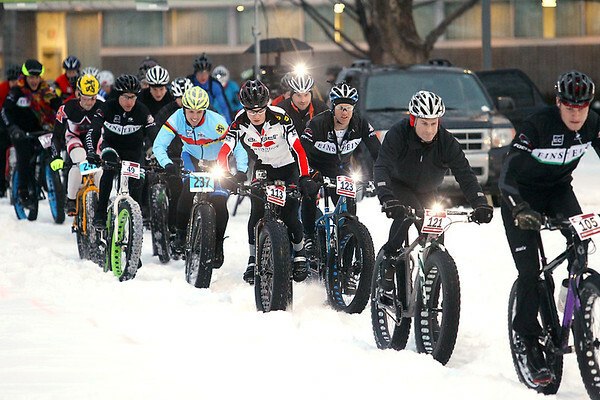 Racers take off from the starting line Tuesday, February 13, 2013 during the Fat Tuesday Fat Bike Race, a race in the Northern Michigan Fat Bike Series, at the Grand Traverse County Civic Center. The next race in the series is scheduled for March 2 at the Marsh Ridge Golf Course and Resort in Gaylord. For more information visit http://www.nmfbs.com.